Ten months ago – 10! 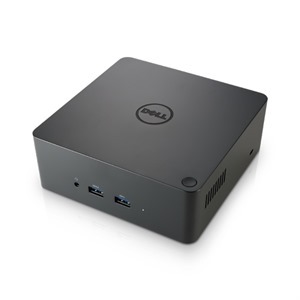 It seems like yesterday – I upgraded my Dell XPS 13 to the latest version at the time and purchased a Dell TB15 Thunderbolt dock to go with it. Although the laptop is great, the dock has been anything but. Let’s put it like this: it took a long while for the drivers to stabilize enough for me to actually use it properly. Where ‘properly’ means some approximation of correctly. (For example, the Ethernet port was incredibly flaky and so I bought a Plugable USB-C dock to help out.) It finally got to the point where I could bring my XPS 13 back from a trip, plug it all in, and have everything working within, oh, I don’t know, 5 minutes. I did debate just getting rid of it, and just using that Plugable USB-C dock, but the display adapters for that don’t allow for color calibration (I use a Datacolor Spyder 4 Pro) and my external monitors are slowly fading, and I’ve got used to the power charging through the Thunderbolt dock. So, caught neatly between 100% happy and 100% unhappy. Imagine my surprise this morning when FedEx dropped off a package from Dell. I hadn’t ordered anything; what the heck? I opened it up and there was a brand new Dell TB16 Thunderbolt dock. They’d sent me a replacement for the dodgy TB15. For free. Without me asking for it. And I don’t have to return the old one. It looks exactly the same from the outside, same cable, same sockets, except for the new cooling vents (a problem with the TB15 was overheating, to the point that I have mine on an active laptop cooling pad). It uses the same power brick, so I just pulled the old one, and plugged in the new one. There was a problem though: my XPS 13 wouldn’t immediately recognize it. It turned out that I had to trigger (somehow) the Thunderbolt driver on the laptop to recognize the new device. For me that happened almost accidentally (I unplugged the power, waited 10 seconds, and then plugged it back in, as the joke goes) and up came the dialog asking me what I wanted to do with this new device (Always Connect was the answer). I’ve been using it now for 8 hours or so, and everything’s fine. I’ll “bed it in” for a couple of days and then try swapping the Ethernet cable and the various USB cables from the USB-C dock. I may be putting that up for sale on eBay before very long. So the TB16 allows you to pass on calibration to your external monitors? I have a USB 3.0 Dock that I got 3 years ago that supposedly you can hook up monitors to it, but no calibration data is passed through, so I just plug my monitors directly to my computer instead of using the dock. If these TB16 docks do pass calibration data through that might be the way to go.